There’s a long-running fascination with protein. We’ve been told that it belongs in every meal…that it promotes fat loss…increases muscle mass and strength…helps bone density…the list goes on and on. Whether it’s meat, fish, poultry or protein shakes, the golden rule is to get your protein in no matter what. Here’s the problem—Americans are overdosing on protein and, according to Dr. Joel Fuhrman, too much of the wrong protein (animal protein) causes cancer and cardiovascular disease and can lead to an early death. The right protein (plant based), on the other hand, is packed with nutrients and can help you live longer. 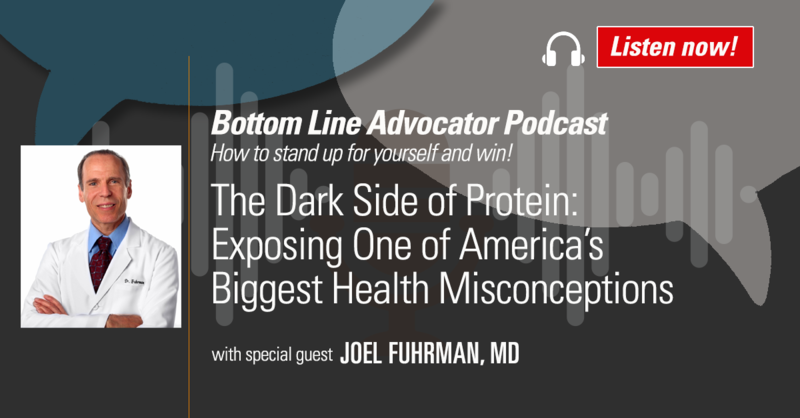 Listen in as Dr. Fuhrman and Bottom Line CEO Sarah Hiner discuss the proper, safe way to include protein in your diet.